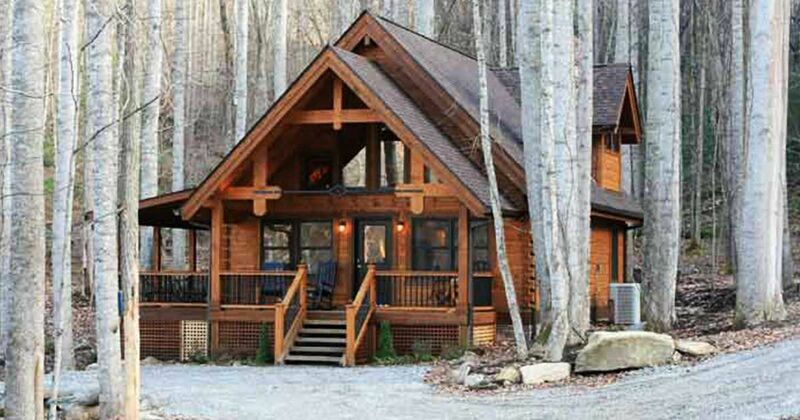 Get away from it all in this log cabin that looks like it's been plucked right from the pages of a fairytale. 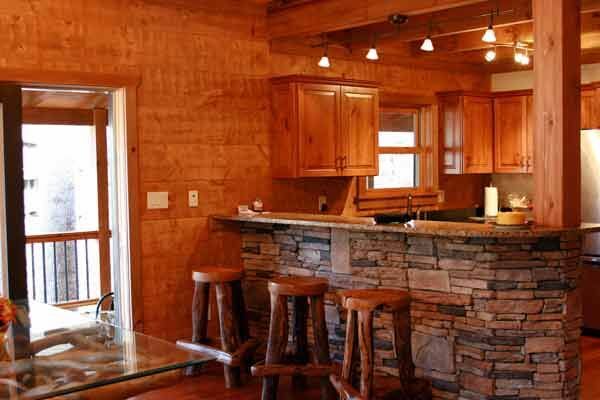 With its tall peaking ceilings like the mountains that surround it, and its tall timber beams like the trees that loom just outside, this cabin is the perfect spot to escape the daily grind for a weekend away. 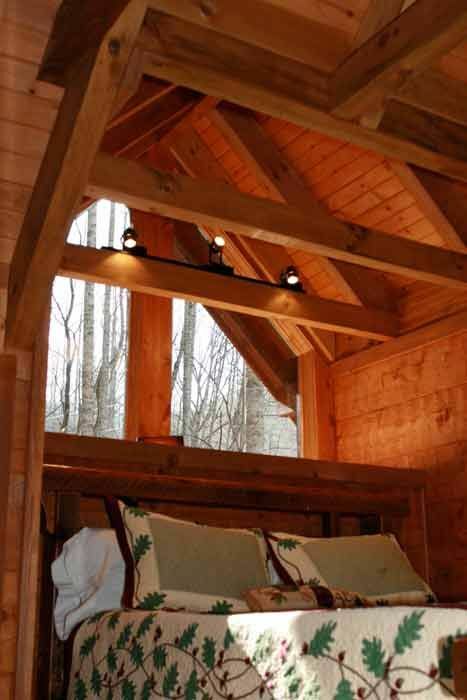 Who are we kidding – you could spend an entire week in this cabin exploring the wonderful surroundings of the North Carolina forest where it's set. And if the outside doesn't look dreamy enough, the inside is incredibly crafted to take advantage of every nook and cranny and impress with some amazing woodwork. The cabin's facade is flanked by eastern white pines that stand tall and give the property plenty of shade. From here you can already see the insane attention to detail – from the wrought iron porch to the woodwork that goes from the railings to all the way up to the roof peaks. Up on the porch is an entire living space in and of itself. 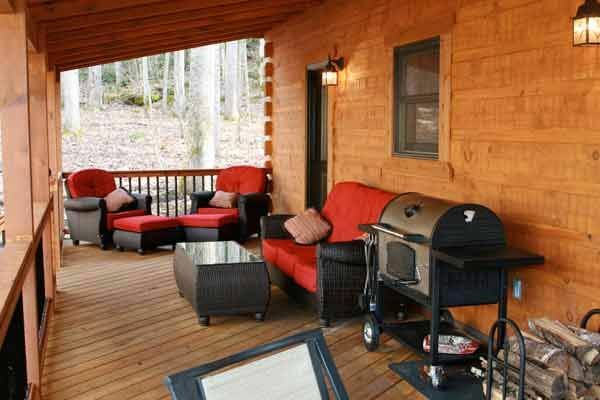 With an entire seating area and a big grill for cooking up burgers, you could spend your entire time here alone. You won't want to though, when you check out the inside. 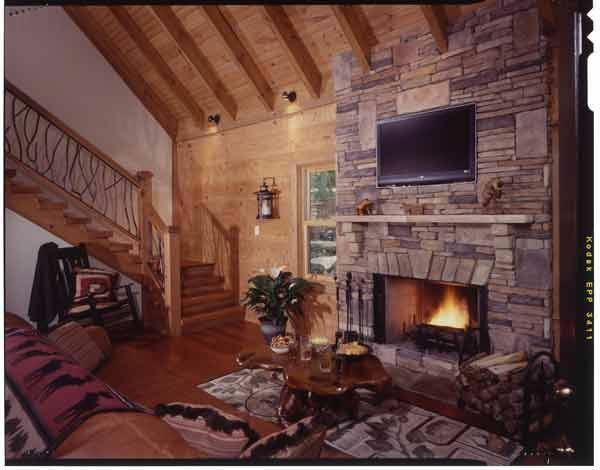 When you walk in you're welcomed into the space by this floor to ceiling stone fireplace. It draws your eyes right up to these vaulted ceilings that are flanked in beautiful beams. This is the perfect place to curl up with a good book. The kitchen is a masterpiece all its own. The island is surrounded with the same stone as the fireplace, and those stools are made out of some wonderful rustic, unfinished wood. This master suite is the perfect place to lay your head after a day of hiking and exploring the wonderful surroundings. Lie down and look up at the big thick beams, and the lofty ceiling as the moonlight shines in above your head. 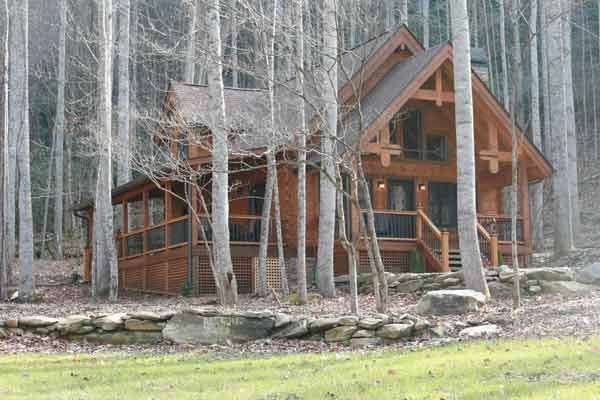 Does this look like your dream weekend getaway? SHARE with those who would agree.